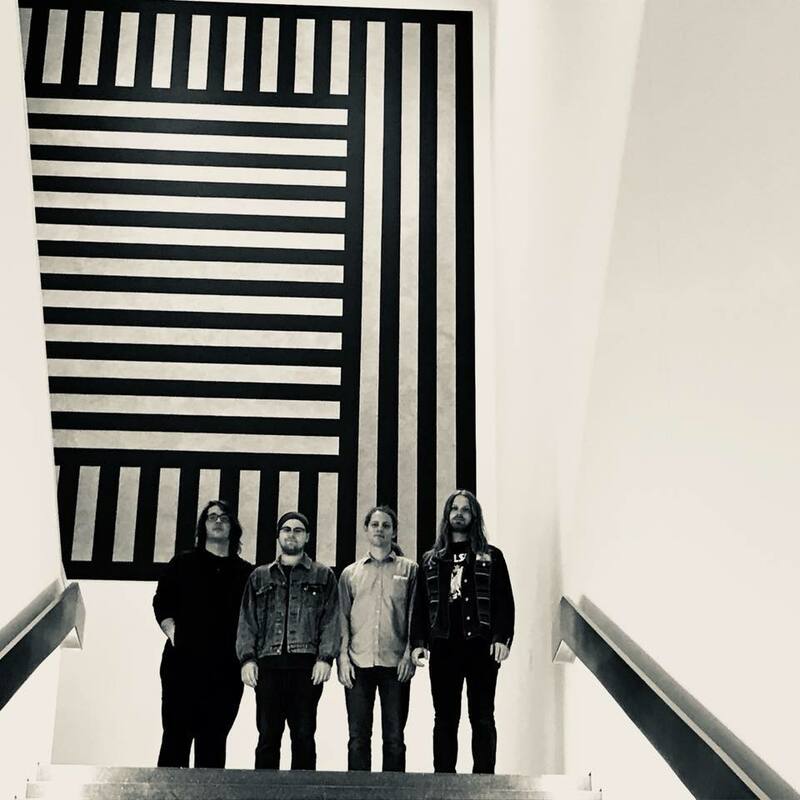 The Golden Fleece is comprised of four psychedelic wizards from Peoria, IL, who use their sorcery to cast a spell on your body, trip out your eyes, and take over your mind. Their hypnotic vocals amidst soaring guitar melodies and a driving rhythm section offers powerful fuzzed-out breakdowns aside tender moments of introspection. The Golden Fleece started as a bedroom-based recording project of Ryan Simpson in 2012, where he began crafting songs inspired heavily by the psych movement of the late 60’s, as well as modern folk and indie. The songs were kept as an at home project until 2015, when percussionist Max Kamm and bassist Zach Jackson joined the group and began performing them live. 2016 saw the release of their self-titled debut album, and in turn the addition of live performer turned permanent member, Jacob Hagaman on guitar. Their swirling psychedelia is brought even more to life during their live shows. The Golden Fleece have developed a loyal fan base by playing in rooms ranging from packed DIY spaces to 350+ capacity venues. Their high-energy live shows have landed them on bills with Chicano Batman, Dead Meadow, Holy Wave, The Dig, and The Forecast, as well as multiple midwest festivals. Over the last year, The Golden Fleece recorded and released their EP “Kill the Time,” toured in support of the new release, and came in at session #6 on the “Best of Psych Rock 2017” list on Daytrotter. The second half of 2018 will be spent writing and recording a second full-length album (due out spring 2019) and touring in the fall.